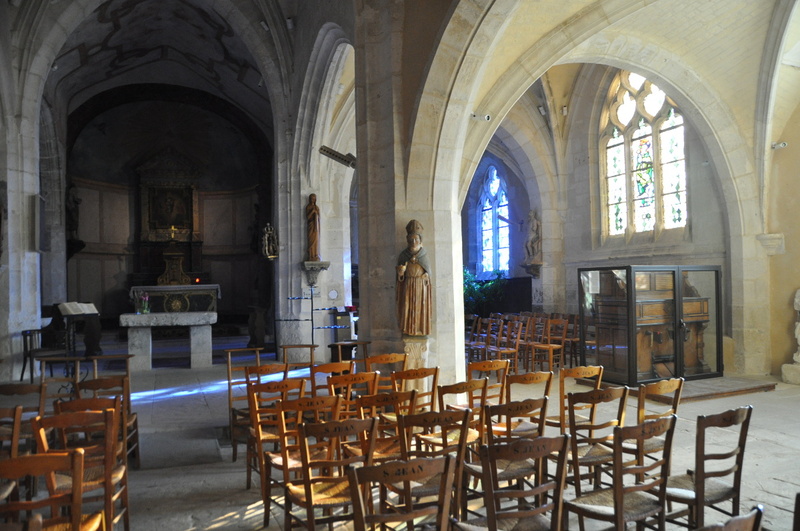 Once a week, on Thursdays at 6.00 pm, a mass is celebrated in the church of Giverny. Everybody is most welcome, especially tourists, even if they are not Catholics, even if they don’t speak French, as long as they are respectful. Expect locals to smile at you with some curiosity in the eyes. They are eager to know who you are and where you are from, but won’t ask. The mass starts soon after the old bells stop chiming. There are two of them, a little one that has a high sound and a big one that is lower. If you are like me, you will prefer not to sit on the first row of chairs, to mimic the faithfuls who know when to stand up or sit down. It feels good to be among them, because churches are not monuments only. Their stones retain all the faith of the humans who built them and prayed in them. The parishioners of today are their beating heart.